As France grapples with a deadly fire that has razed down an important historical notre dame cathedral, skilled firefighting personnel in Rwanda are very countable and this sub domain is limited to the Police institution. 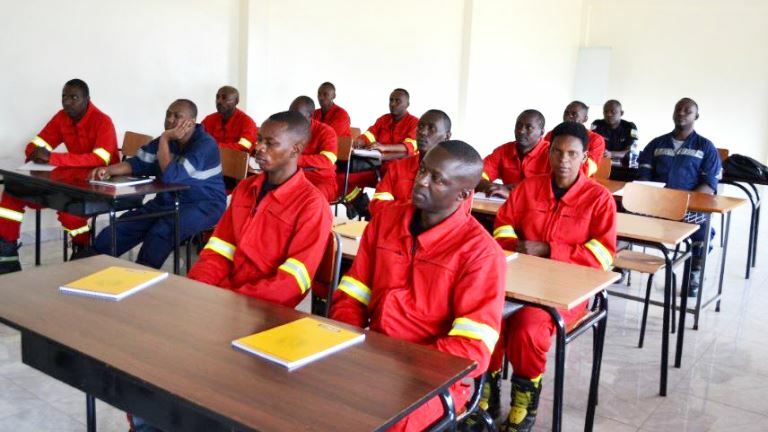 A German firefighting expert is currently training dozens of Rwandan youths to enable them acquire technical and ethical skills in fire management in cases of emergencies. The training is organized by the Integrated Polytechnic Regional College (IPRC) based at Gishari in Rwamagana sector. Fires accidents in Rwanda have been on a sharp rise since 2011 and have caused losses worth millions. 60% of these fire accidents in Rwanda are caused by electrical failures. For example between January and June 2015 Rwanda recorded about 49 fire accidents and of these, 41 happened in the capital Kigali. Going by statistics, more than 326 fire accidents have been recorded throughout Rwanda since 2011. The sequence of these fire accidents are that in 2011 alone, there were 84 fire accidents recorded, in the year 2012 about 93 fire accidents occurred. Later in 2013, there were 73 fire accidents. 76 fire accidents occurred in 2014. Through this Vocational training centre established in 2013, Rwanda government seeks to empower youth with the knowledge, skills and competencies required for the jobs of today or tomorrow. According to Kigali city authority, most of these fire accidents are common in older buildings used for activities they were not designed for. In most fire accidents in Rwanda, there is no one on site with fire-fighting skills or basic knowledge on how to use the fire-fighting equipment. And most of these buildings that are razed down by fire have no functional fire safety management systems. Kigali city authority attributes these fire accidents to electrical failures, because most installations are done with substandard electrical appliances, including poor quality cables, which are often overloaded, resulting in their failure.